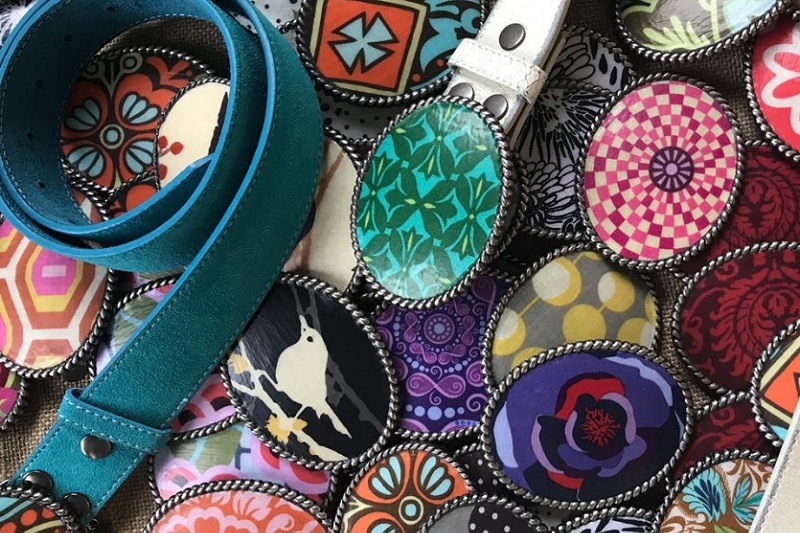 Buckle Up Girlfriend designs and makes unique belt buckles in fun, colorful fabrics so that each buckle brings some personality and a pop of color to your outfit. The company was established by girlfriends Elizabeth, Lisa, Kelly and Christine. Their high-quality leather and suede belt straps give you a one-stop belt shopping experience. We’re thrilled to welcome Buckle Up Girlfriend to the Oak Brook Artisan Market at Oakbrook Center on Sat & Sun, May 18-19, 2019. This 2-day outdoor market showcases the Midwest’s finest artisans in fashion, food, home goods + art. 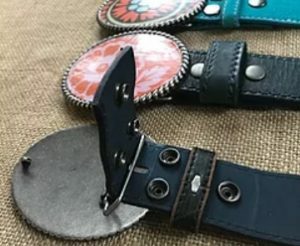 Handcrafted in the Midwest, Buckle Up Girlfriend uses blank buckles as the canvas for each fashionable design they create. 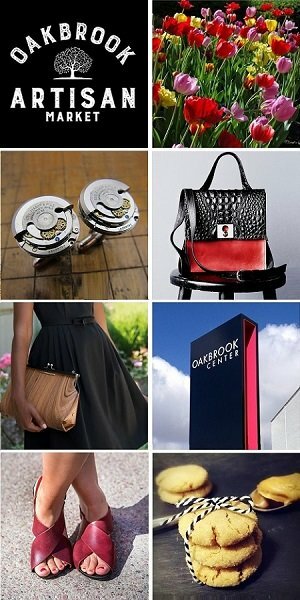 Their belt buckles are a unique and fun accessory offered in a wide range of designs and colors to suit every fashion taste. The belt buckles and straps are fully interchangeable. The straps have snaps that allow you to easily add a belt buckle and change it out for a new design anytime. The straps are made from genuine leather or suede and are available from sizes 2 to 18. Each belt buckle has an inspiration. Each design style is named after the moms, sisters, daughters and friends of the owners. It started with Elizabeth, Lisa, Kelly and Christine having a simple conversation… they all realized that when it came to personal styles, they knew what they liked, and they needed it to be easy, fun and fashionable. The four were looking for something more – something unique to express their personalities, and something they could pair with classic dark jeans and cute t-shirts. From that conversation, Buckle Up Girlfriend (or “BUG” as they like to call it) was born.